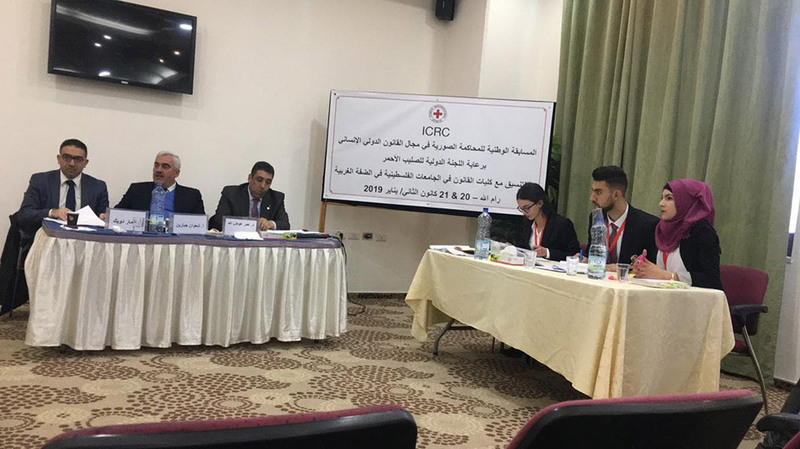 Students from the Public Administration Department at Birzeit University have been selected to represent Palestine in the regional Moot Court Competition taking place in Cairo in March 2019, after winning the first National Human Rights Moot Court Competition organized by the International Committee of the Red Cross. Birzeit University’s team competed and won against An-Najah National University and the Modern University College, which qualified them to the finals along with Hebron University. 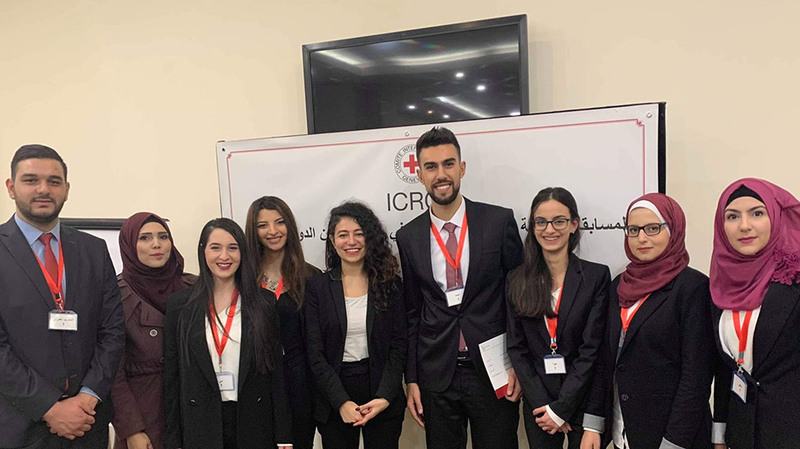 The team was composed of Mira Khayyat, Mai Laila, Ahmad Abu Dukhan, Daad Shawryeh, and Saja Falaneh, and worked under the supervision of teaching and research assistant at the Department of Law Omran Tamimi and Junior Legal Expert Mira Salhi. The students were judged by a jury comprising academics and legalists specialized in international humanitarian law and international criminal law. Represented by General Director of Al-Haq Shawan Jabareen, Director General of the Independent Commission of Human Rights Ammar Dwaik, Head of the General Administration of the United Nations and the Multilateral Affairs of the Ministry of Foreign Affairs Omar Awadallah, the jury expressed its pride with the performance of the team, especially in the last two final rounds, and stressed the importance of having such platforms that allow students to represent Palestine in the international community. The competition is the first of its kind to be held in the West Bank with the participation of seven universities, which are Birzeit University, An-Najah National University, Arab American University, Al Istiqlal University, Palestine Ahliya University, Hebron University and Modern University College.